I know I have been MIA since the middle of November and I am sorry about that. I just felt like I was on overload and needed to take a break from something that wouldn't have serious consequences if I didn't do it. Unfortunately, that was also something I really enjoy doing! But, the winter is over...at least the flowers tell me so...and the days are longer, the sun is brighter and I have a lot more energy! Yay! So we'll take one day at a time and see if I can keep up! 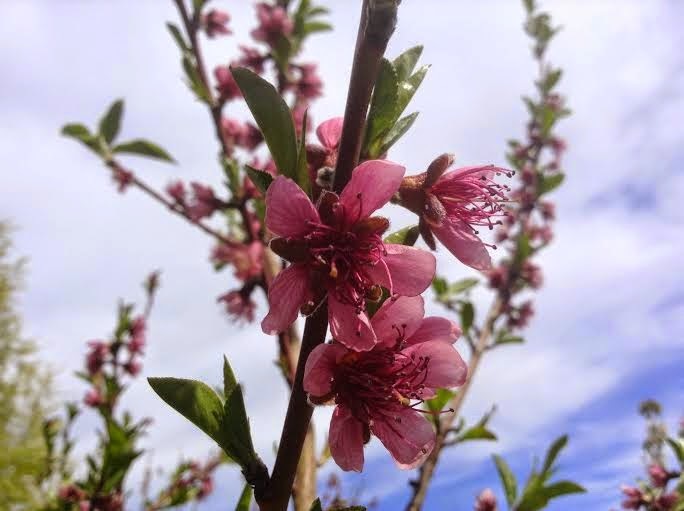 Today I was walking around in our yard, garden/orchard and took some pictures of the flowers. I love the tulips above. They are coming up to replace the fading daffodils. 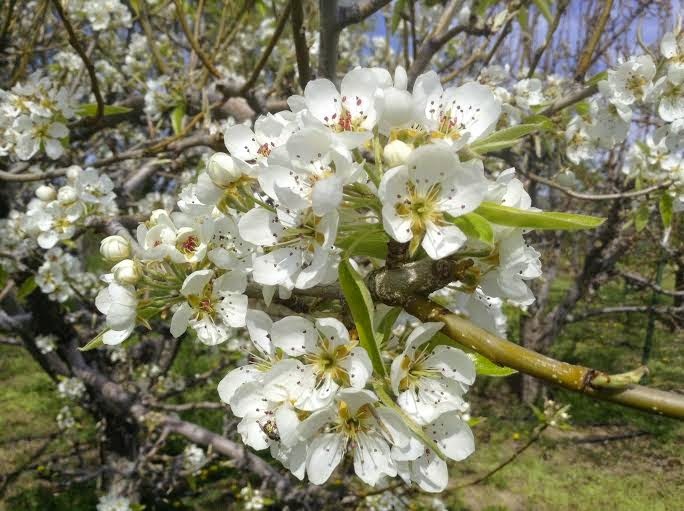 Then there are the pear blossoms! Gorgeous! 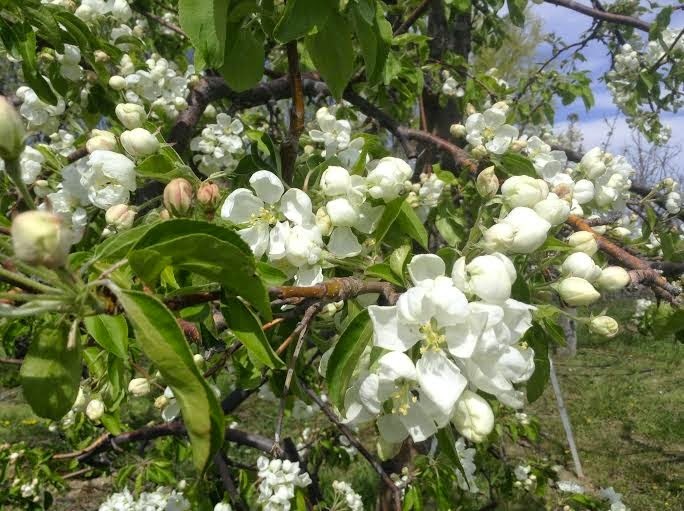 I am looking forward to eating those luscious pears in late summer. I think the picture above is of the cherry blossoms. The birds have eaten our cherries for the last several years but we are always hopeful to get a few. These flowers are on the Van cherry tree; the Rainier and Bing trees haven't blossomed yet. This is our last peach tree to ripen each year, O'Henry. Aren't those blossoms a beauti ful shade of pink! 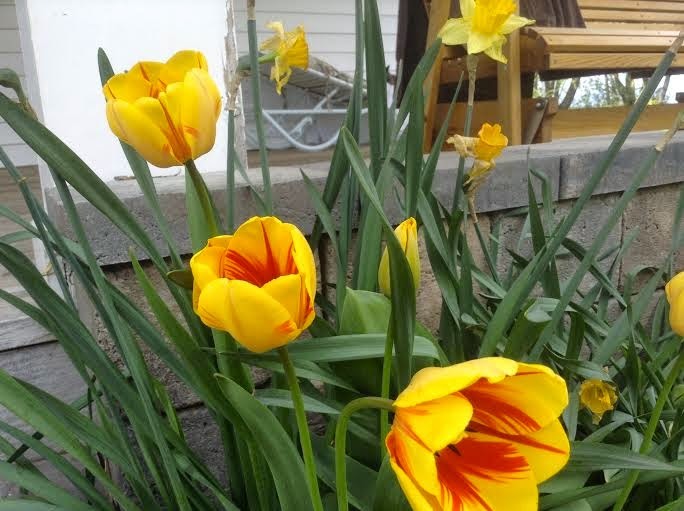 Spring is filled with lots of work getting the yard and garden in shape...fortunately that is hubby's job! I love seeing all the beautiful flowers, hearing the birds, enjoying the sunshine and a few showers, shedding winter like a heavy coat! I will not be participating in the A to Z Blog Challenge this year but I have some fun posts planned for you anyway! I will be back tomorrow to participate in Sandra's Happy Homemaker Monday over at Diary of a Stay at Home Mom. Thank you to everyone who emailed me with concerns about why I wasn't blogging and for those who encouraged me to take it up again. Welcome back! The blossoms are lovely! Thank you William! You are so nice to visit! I was hoping I wasn't forgotten! welcome back Kat, I took a break also. Thanks, Gill! A break is good every now and then:) Thanks for stopping by! Good to see you again, Kat! I've missed you.